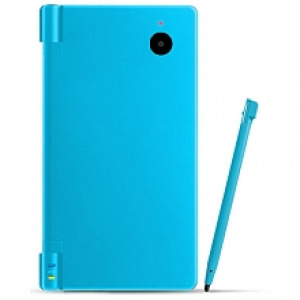 Several retailers in Canada, including Toys R Us, are listing the Nintendo DSi at a lower price point. Originally $199 Canadian (equivalent to $183 US or €125), the new price is down to $179 Canadian (or $165 US and €113). By comparison, the DS Lite is $139 CAD. No word on whether this price drop will be rolled out to the rest of the world any time soon. Nintendo's offer of 1000 free DSi points upon connecting the portable to the Internet is still going strong until October 5, so the price drop has had no effect on that promotion. If you bought one yesterday in Canada, well, that's probably very annoying for you. That's cheap... compared to Euro. If the Wii is really dropping to $199 then Nintendo should strongly consider dropping the price of the DSi too. Sweet! Now I just need 180 bucks. Just got my White DSi today for $184.99 ($5 more) at Future Shop with a free copy of Big Brain Academy. Do the 1,000 free DSi points become unavailable here on October 5th? Or is it just Canadians that have to rush out to the store? Woot! too bad I won't be getting one for a while. Wow! The DSi just came out. Is it selling poorly in Canada? @uel: I think the time limit on the free DSi Points concerns everyone. Reading the red sticker on the top of my box that announces "free games from Nintendo DSi Shop", there's small print on the upper-right corner that says "for a limited time only". @Token Girl It didn't "just" come out, that was 6 months ago. And probably compared to the DS Lite because most people don't understand why they should pay $50 more for something with a camera when they're 7 year olds probably don't care. I am not sure if you were aware of this and I also know that Dell does not list the White DSi yet but they do offer 15% off via coupon code "6FWJ247J1P44CK" along with free shipping. It cost me $151.57 for a DSi from Dell. @OK Computer I was just under the impression that it was selling really well, and 6 months is not THAT long for a system to have been out (Wii is just now dropping it's price after all). I could be wrong, but it seems a little early for a price drop when they're still running their launch offer. I do agree that the extra features don't really warrant such a large price increase over the DS lite. @uen Yes, Oct. 5 is when the 1000 points offer expires in the US. @Prochnow Yes, you can currently buy a DSi from Dell in the USA with free shipping. I did a quick search on Dell's Europe site and did not see a DSi so you are correct their focus is mostly on computers. I like when people lower the prices. Anyone know the scoop on these?